Stillpoint Spaces London is London’s first psychological coworking space, with sister spaces in Berlin, Paris and Zurich. 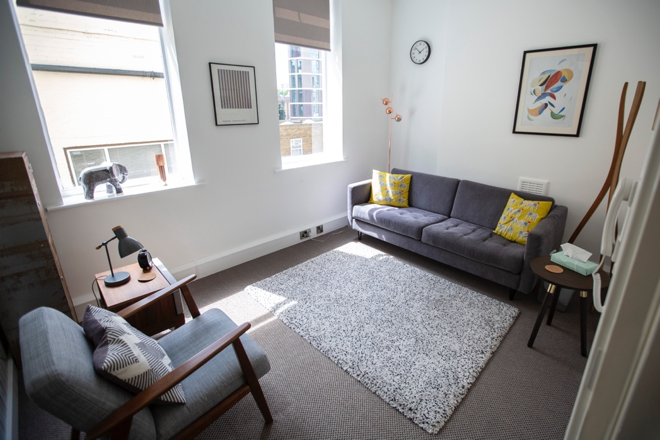 Set up by psychotherapists who all shared the passionate belief that the wonderful insights that can be gained within a consulting room shouldn’t be limited to it, Stillpoint Spaces’ main aim is to encourage the exploration of psychology in depth, both inside and outside the consulting room. We have five consulting rooms on site, where therapists, counsellors, psychologists and coaches run their practices. 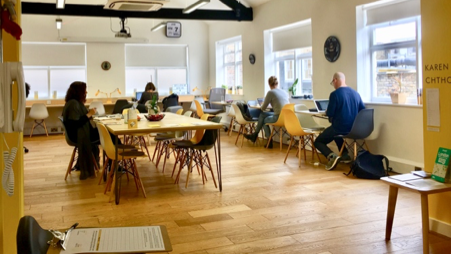 Our coworking space ‘The Lab’ is open to individuals and organisations from all fields that are interested in joining our community for the psychologically curious and working from our calming, introspective space. The Lab is purpose built and decorated for this quiet but collaborative, intentional work, and doubles as our events space. It is where we host a range of talks, seminars, workshops, launches, performances and exhibitions, all applying psychological thinking to current, contemporary events, news and phenomena. We had been developing our events programme for just over a year before we started to reflect on its effectiveness in contributing to our core community. Although we were providing a good range of events, touching on topics from gender transition to decision-making and mental health in the workplace, we experienced a real issue getting bums on seats. Feedback was generally very positive from those who came, but we were often running events that were unsustainable, because – despite the strong line-up of speakers and facilitators – we weren’t able to recruit enough attendees. In part we put this down to the saturated London events scene, which is overwhelmingly diverse, eclectic and seemingly limitless. However, we understood that unless we poured a large amount of investment into promotions and advertising strategies, we would have to rethink our events programme entirely. The element of the issue that concerned us the most was that event attendees and those that facilitated them were generally unlikely to become community members, and existing community members weren’t invested in the events programme unless they were attending CPD workshops which directly improved their personal practices. It seemed exciting on paper, but when it came to it, committing to events was tricky to balance with other weekday demands. We weren’t achieving our aim of expanding our community of like-minded individuals exploring psychology outside the usual realms of the consulting room and the academy. This then, was what led to our decision to ‘turn inwards’. We have begun to develop smaller, community-driven workshops, which contrast greatly to the jam-packed seasons of one-off events with speakers that didn’t then become further involved in the community. These smaller workshops involve deeper continuous work, focusing on specific ideas, aims or material. 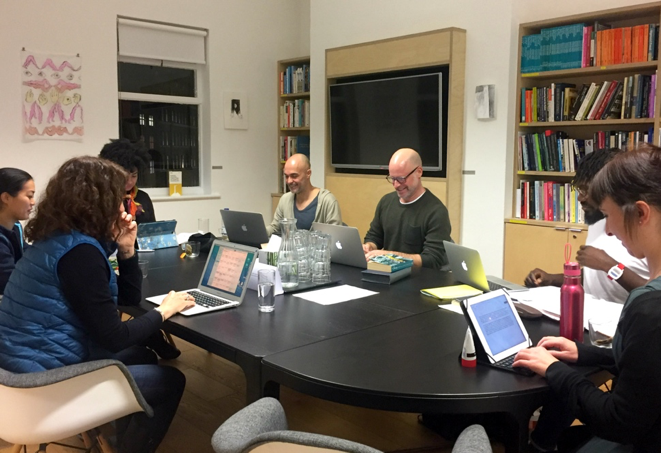 We have ongoing meetings of reading groups and writing groups, as well as collaborative events facilitated by experts already within the community. This growth of smaller more focused events has become more possible due to the growth of the community over the past 18 months. But this shift in focus and event style has meant that we are now able to spend more time and resources focusing on these community members in other ways. Members who are able to facilitate events themselves are naturally more invested in the community; they are directly involved in the curation of an events programme that caters to their needs and interests, as well – we hope – as having the space to be more creative with their ideas and organically pitch in to make something happen. Paradoxically, part of this shift has also been to reduce the variety of the events we hold or facilitate. Because quality over quantity, right? 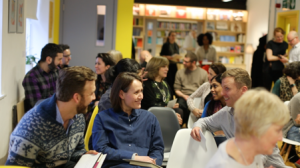 Our driving ambition is to delve deeply into psychological ideas, and one evening event on a topic – no matter how interesting – wasn’t cutting it. 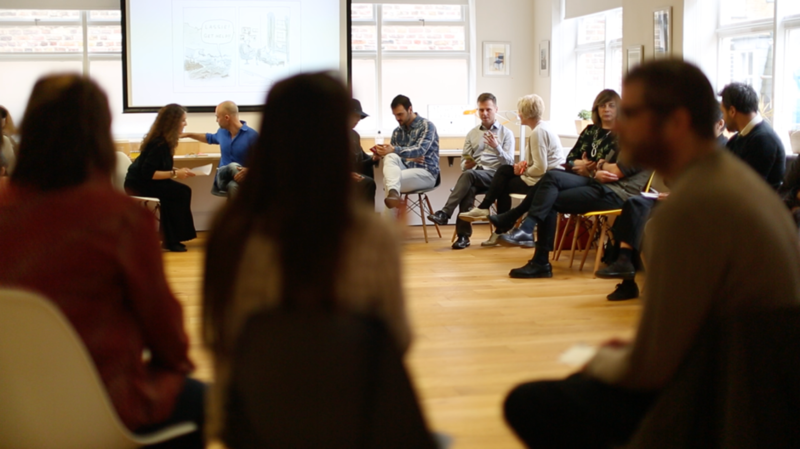 We started our new approach with an Open Day in September, where we made the decision to radically reinvent ways of talking about therapy and mental health. 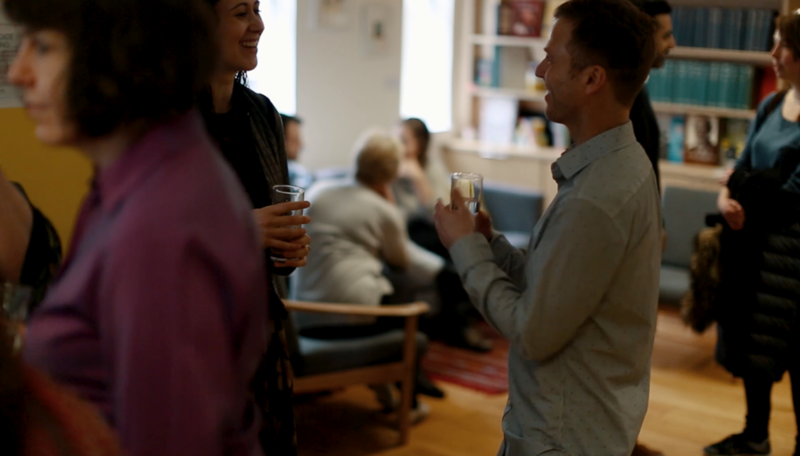 We piloted a ‘Speed Dating Therapists’ feature, which involved our clinical members having quick-fire conversations with anyone interested in the idea of therapy, but unsure who – or what – that really meant. This achieved two things for us – it raised our profile in the effort to demystify the therapeutic process, and also created a potential for our clinical members to recruit clients. The Open Day also had free talks, an exhibition, and the chance to discover other elements of our coworking space. This was, essentially, one of the first free events we had held, and it worked. In 2019 we will be unrolling more collaborative community workshops, and while we won’t be completely eradicating the stand-alone public events, we will be packing less into the calendar. As our coworking space continues to fill up with a diverse network of professionals and creatives, the hope will be that the events programme will continue to grow with it. Kate Holford is Head of Community Development and Creative Producer at Stillpoint Spaces London. She has been part of this team since its opening in Spring 2017. Kate is also an artist and curator, and has produced a number of exhibitions since graduating Fine Art from Falmouth University in 2013, including a solo show of installations within the rooms at Stillpoint Spaces in April 2018. Her work can be found at www.kateholford.com. _____________________________________________________ Rashida Taylor has been the Site Coordinator and Social Media Marketing Manager at Stillpoint Spaces London since October 2017. She is also Culture Editor and staff writer for the online media platform Brits + Pieces. Its again proved that co-working is the best space to get the like-minded people to grow our community and network, irrespective of the field.As of now we have seen that professionals from different industries related to business are making use of co-working space but the co-working space founded by psychotherapists with an aim to expand their community is really a new thing. I have loved being part of this community! I love practicing from the beautiful rooms on the first floor, and new clients always say how wonderful a space it is. But being able to work next to, chat with and bounce ideas off of other clinicians in The Lab makes such a difference for me. I feel part of a community, which is so important, especially when working in private practice can be isolating and lonely. I am really looking forward to all the events of 2019!